Canadian Eldorado Gold Corporation announced it would suspend investment at its mines and development projects in Greece as of September 22nd 2017 due to a delay in permits from the Greek government. In a statement issued on Monday, the company said no additional investment will be made into the Olympias and Skouries projects and the Stratoni mine in Greece, and will place them on care and maintenance. 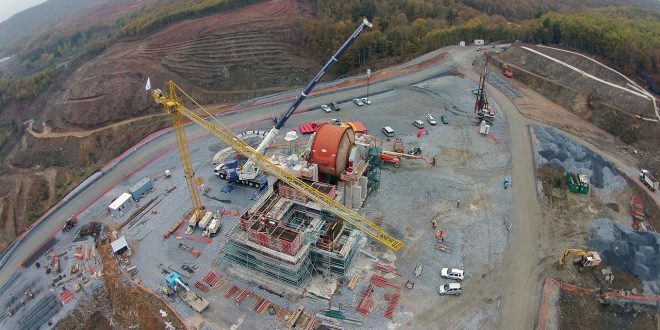 Eldorado Gold is developing the Skouries and Olympias projects in northern Greece, where it also operates the Stratoni mine. Skouries has been a particular flashpoint with the authorities, with differences lasting for years over testing methods applied to comply with environmental regulations. “Despite repeated attempts by Eldorado Gold and its Greek subsidiary, Hellas Gold, to engage constructively with the Greek government, the Ministry of Energy and Environment (the “Ministry”) and other government agencies, delays continue in issuing routine permits and licences for the construction and development of the Skouries and Olympias projects in Halkidiki, northern Greece,” the statement said among others. With the exception of a care and maintenance program and necessary environmental safeguarding costs, Eldorado and its Board of Directors have decided that under present conditions no additional investment will be made into the Kassandra Mines (Olympias, Skouries, Stratoni) in Halkidiki, the Perama Hill and Sapes projects in Thrace, and any exploration activity in the country. The Company estimates that a total of US$30 million will be spent to prepare for care and maintenance activities, with sustaining maintenance costs of approximately US$25 million annually. Funds that were budgeted to be invested into community spending and infrastructure development will be phased out. Similarly, tax revenues at the municipal, regional and national levels will also be affected. Suspension and termination of contractors and employees will be done in accordance with applicable labor regulations in Greece. Workers and contractors are estimated to be 2,400 people. Construction and development activities at the Skouries project, with over $350 million invested to-date and a current workforce of 530 people including contractors, will be suspended effective September 22, 2017. The refurbished Olympias processing plant is close to completing the commissioning phase and commercial production from Phase 2 was planned during the fourth quarter 2017. Current headcount at Olympias is approximately 950 people including contractors. Commissioning work and further development activity will be suspended effective September 22, 2017. To date, Eldorado has invested over $400 million at Olympias. The Stratoni Mine currently employs approximately 830 people including contractors and had a life of mine of approximately one year based on known proven and probable reserves at the beginning of 2017. Geological potential exists to expand resources and extend mine life and Eldorado is currently undertaking a drilling campaign to test the lower portion of the Mavres Petres orebody. Additional investment would be required over the next two years to further delineate additional resources. All mining operations and exploration activities will be suspended effective September 22, 2017. Perama Hill and Sapes are currently on care and maintenance pending approvals by the Ministry of Energy and the Environment for Perama Hill’s Environmental Impact Study and for Sapes’s drilling permit, both of which have been pending for over three years. Eldorado has applied for licensing but the energy ministry has said that it would launch an arbitration process this month to ensure that the Vancouver-based miner’s Greek unit, Hellas Gold, respects its contractual obligations. The company said it was awaiting additional detail from the Greek government over the arbitration process and would re-assess its investment options in the country after the approval of the permits. “Should the Greek government wish to work within the framework of its contractual obligations with Hellas Gold, issue permits in a timely manner and support the investment, Eldorado will then be in a position to re-evaluate its investment plans in the country,” Eldorado Chief Executive George Burns said. George Burns will hold a press conference at Athens Hilton Hotel at 11 a.m. local time Monday. This is how our dear government attracts foreign investment!!! Unrealistic high taxes, corruption, bribery and bureaucratic nightmare. Welcome to Greece, we allow you to invest in our country, 100% your investment will fail. This is how international investors do business!!! Unrealistic demands, destruction of the nature, bribery, going against the laws and blackmail. Welcome to modern globalized economy, you allow us to destroy your country, 100% your children will suffer.